Every so often a sense of anticipation washes over me about a far away tourist attraction. 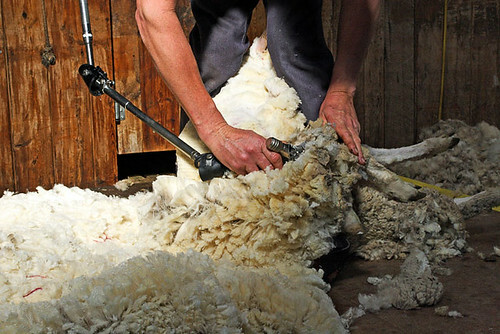 Planning a trip which encompasses a visit to a sheep shearing shed – one which requires a fee to be paid – may not be at the top of everyone’s list of things to do. The intrigue surrounding Shear Outback was enough for me to drive from Melbourne to Hay to check out what it was all about. 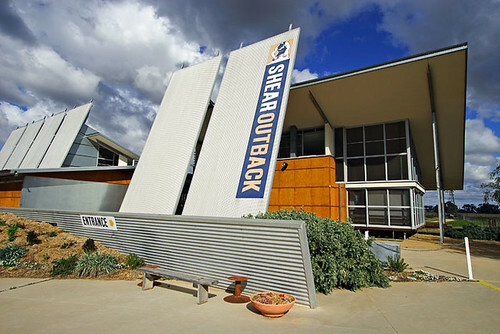 Located in the New South Wales outback town of Hay, on the Long Paddock touring route, Shear Outback is an attraction that is Australian to the core. 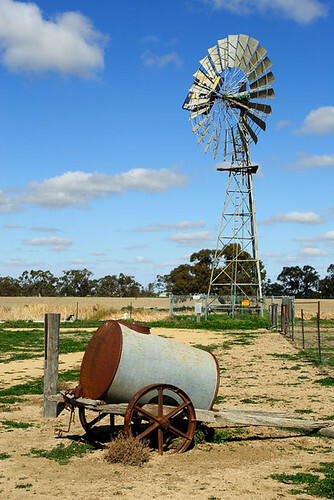 With a Shearers Hall of Fame, a windmill the size of a baby wind turbine, and an ornate indoor display of sheep shears, how much more dinky-di could it be? 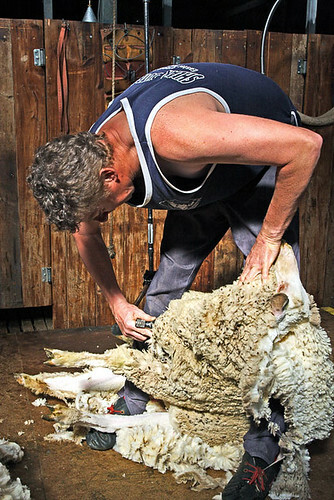 As an Aussie bloke in his forties, I’m embarrassed to say I’d never witnessed a sheep being shorn, so Shear Outback provided me the chance to witness Glen, a professional shearer and about-to-retire Aussie rules footballer, using some fancy motorised clippers. Unfortunately, there was no clicking of the shears in the shed with its dappled light, just the humming noise of the clippers and a slight struggle from a couple of sheep. I was given a brief lesson from Glen about a day in the life of a shearer. From the equipment they use, to the way they dress, it was all news to me. In many respects, the life of a shearer has changed from the old days where they now travel locally to give a flock of sheep their free haircut. 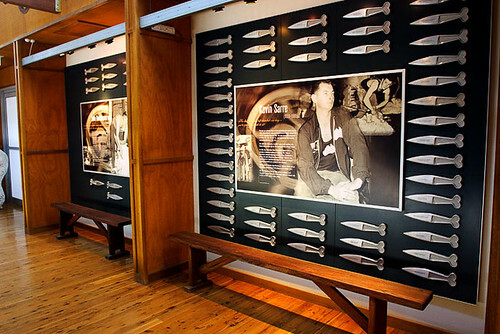 The Shearers Hall of Fame features mounted boards containing profiles and achievements celebrating various shearers who have given back to the trade. 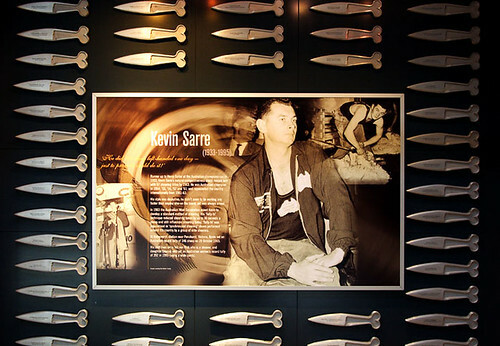 Henry Salter MBE, Kevin Sarre and John Hutchinson OAM may not be household names, but their achievements are noteworthy. 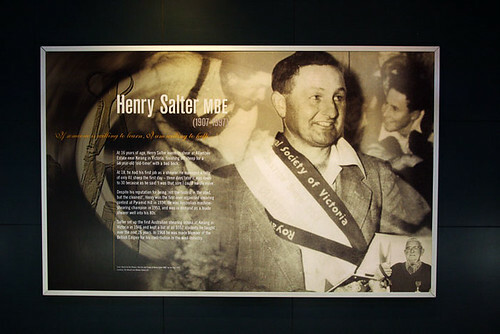 Henry Salter (1907-1997) was inducted into the hall of fame in 2002. He learnt to shear sheep at age 16 at Kerang in Victoria. 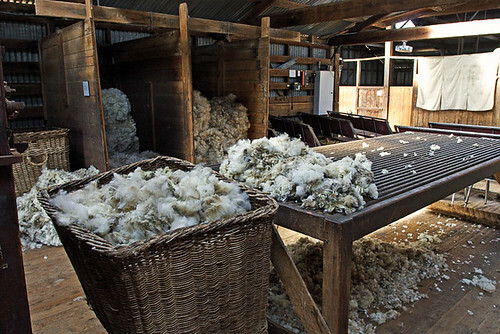 At 18, he landed his first job as a shearer and sheared only 41 sheep on his first day. On his third day, his tally had reduced to 30 due to being that sore he could hardly move. Kevin Sarre (1933-1995) a five-time Australian shearing champion sheared 200 sheep in a day with his left hand, just to prove he could do it. 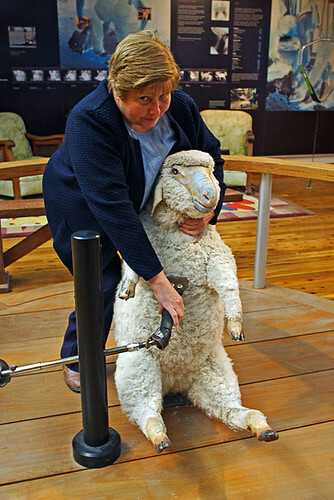 His tally-hi shearing technique reduced shearing time by up to 30 seconds per sheep. On 26 October, 1965, he set an Australian record by machine-shearing 346 full-grown merino sheep in 7 hours and 48 minutes at Batesworth Station near Penshurst. 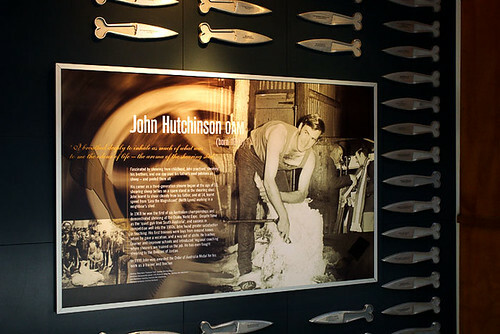 John Hutchinson, born 1943, is a third generation shearer and was taught to shear by his father. 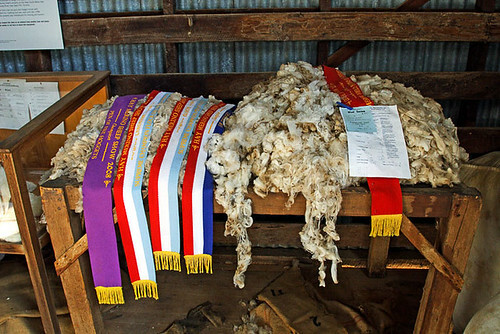 A six-time Australian shearing champion, John found satisfaction in training and teaching, and was awarded the OAM for doing so. He was inducted into the hall of fame in 2002. For kids, and kids at heart, there’s a beaut opportunity in store. You can pretend to be shearing a sheep and have your photo taken by a relative or friend; however grabbing the sheep around the throat and smiling for the camera is a look which had me in stitches. I came away from Shear Outback with a greater knowledge, respect and understanding of farming families and their lives in the bush. An experience I highly recommend.